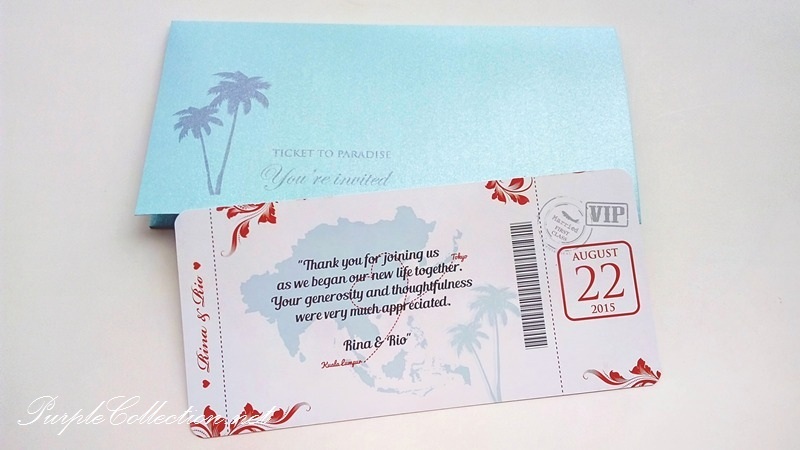 Each set of card comes with an outer envelope 80g. 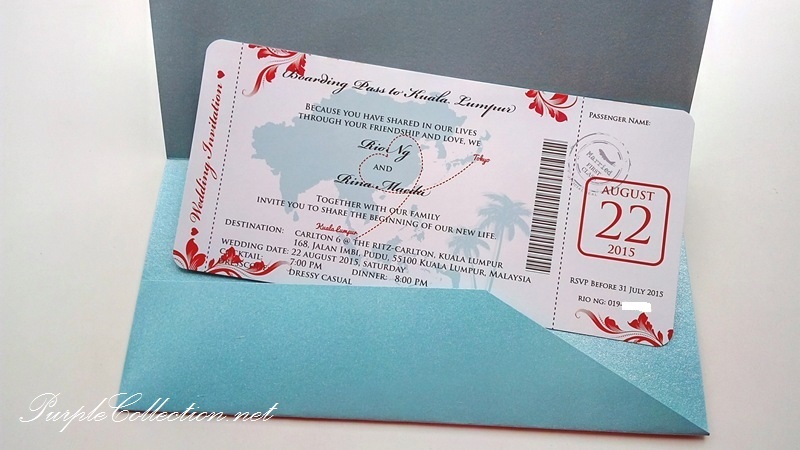 Below are the envelope colours available. 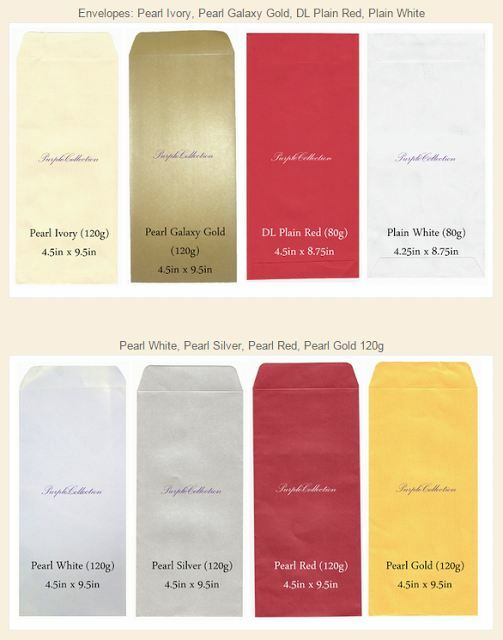 To upgrade to pearl envelopes 120g, it's additional of RM0.30/pc.